Our Summer Camp in Hillsborough New Jersey has been operating and entertaining children since 1982. Contact our Director of Camp, Darlene Conway at dconway@pinnacle-nj.com for more information and pricing. February 1 – Registration is open! Why Fun & Fit Summer Camp is the right choice for your children? Fun & Fit Camp in Hillsborough, New Jersey aims to provide families of children ages 4-15 a safe and caring environment in a premier facility where children can grow, learn, and enjoy their summer. Our dedicated, experienced, and well-trained staff implement our carefully designed programs to help campers develop a strong character and positive attitudes and behaviors towards teamwork and service to others. As our program continues to grow and evolve, we will always deliver an exceptional customer and camper experience. Helping our campers with personal growth, build good sportsmanship, and learn about a healthy lifestyle is a top priority. Please ask us about our extended hours options! When your kids are enjoying their time at Fun & Fit Summer Camp, you will have the peace of mind knowing that they are safe and having fun. Wednesdays are special at Fun & Fit Summer Camp! On Wednesdays FULL DAY and PM campers may participate in the bus trip or internal assembly scheduled for that week. Participation is not mandatory but encouraged. Choices can be changed up to 1 week prior. Throughout the week the children can participate in sports, fitness, arts & crafts, music, dance, and Karate taught by trained and experienced personnel in each of their respected areas. They also play outside on our two fields, play various games in our racquetball courts, and swim in our heated, indoor, salt-water pool. 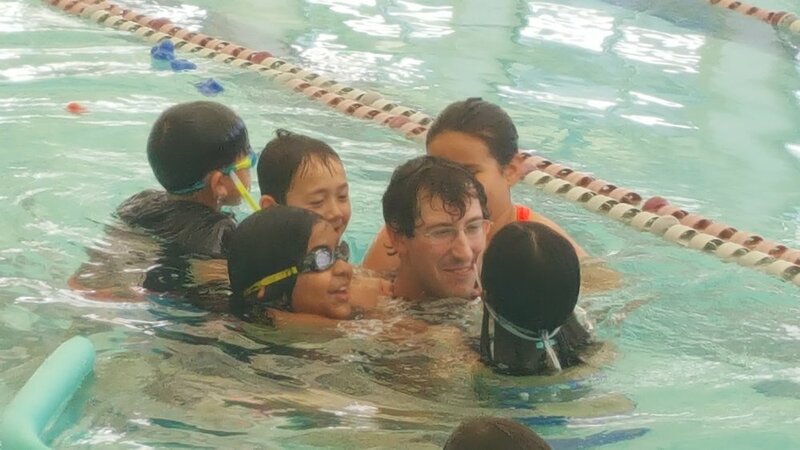 We also offer group swim lessons for an additional fee. We also have a reading program in collaboration with the Hillsborough Library where everyone is given the opportunity to read librarian-selected books by some of the top authors and illustrators. Our goal is to create a fun and educational environment for all of the children to have a memorable summer camp experience. Please feel free to contact us with any questions or comments.